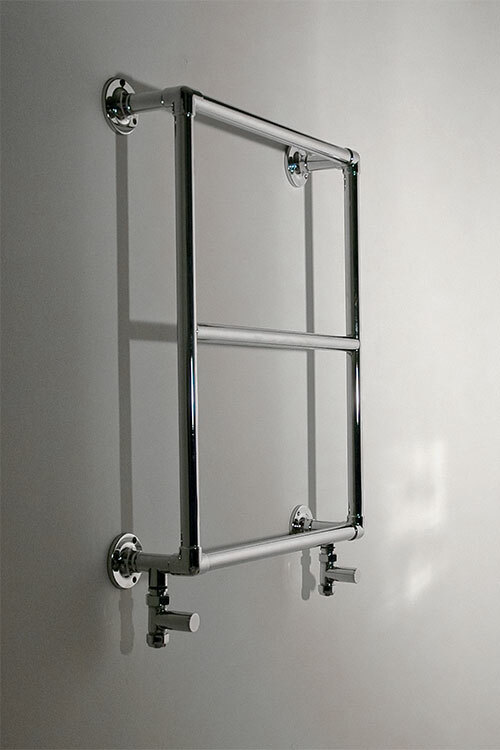 This British manufactured towel rail, styled to a classical design looks very stylish in both traditional and contemporary bathrooms. 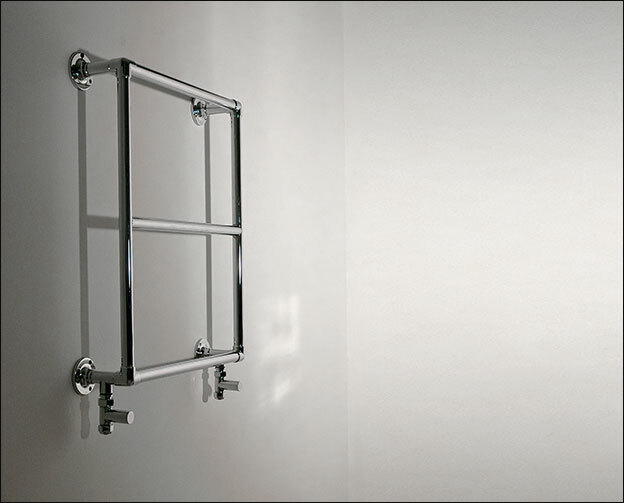 Each heated towel warmer is designed for easy hanging and quick drying of bathroom towels. 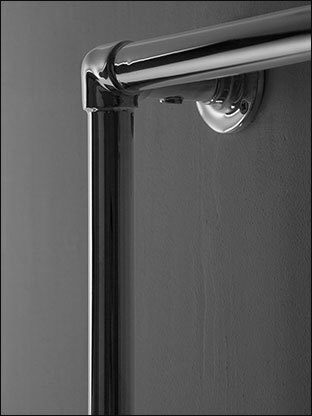 Available in the finishes of chrome, nickel, gold, brushed brass and copper in heating formats of central heating, dual fuel and electric only. 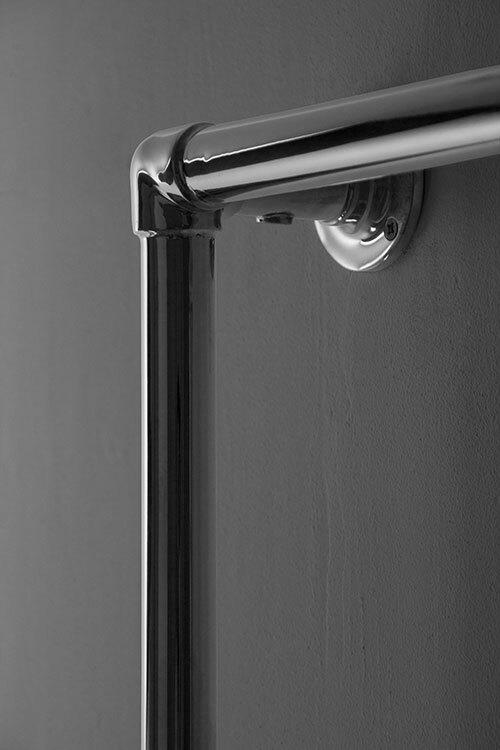 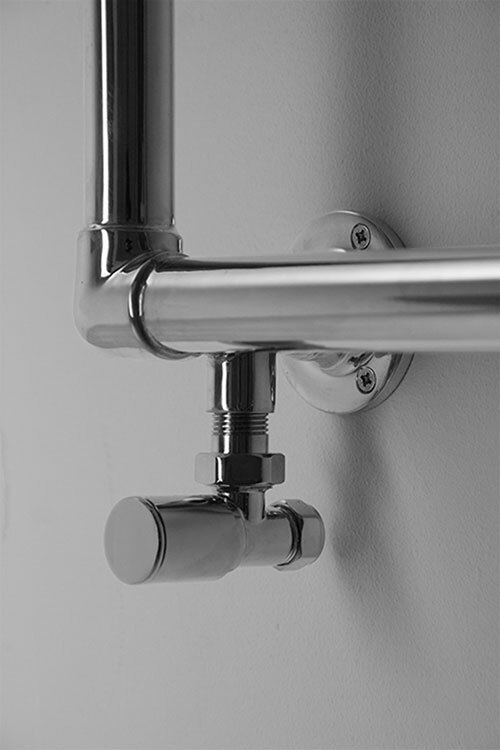 Please note stainless steel towel rails are far superior in quality and longevity to the inferior mild steel rails. 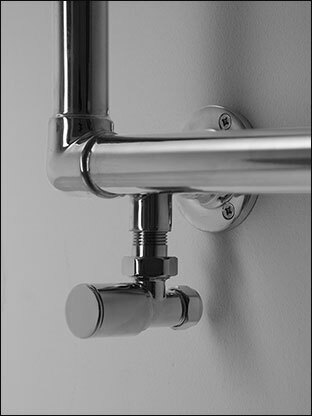 • Nickel, gold, copper and brushed brass finishes available.